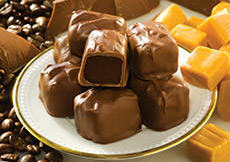 The gift that chocolate lovers rave about! We dip our classic candies in a premium blend of creamy milk and flavorful dark chocolate for a richly satisfying confection unlike any other. 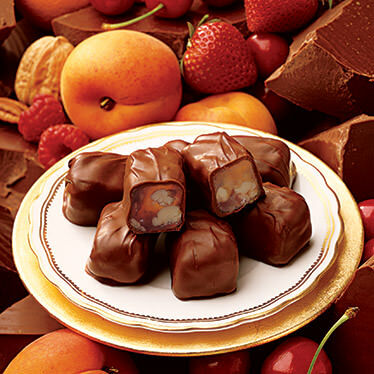 These tempting morsels arrive lovingly hand-packed in our pretty "Valley Blossoms" gift box with five orchard-fresh varieties, Strawberry-Walnut, Cherry-Pecan, Raspberry-Pecan, Orange Marmalade, and Apricot-Walnut. Kosher. I have been ordering from Liberty Orchards at the holidays for over 20 years and this is the first time I have ever been disappointed. I believe that I did order a lower-weight box of chocolates this year but I expected the same quality items. I found that the individual chocolates were smaller but were packed into a same-sized box (with a plastic liner that took up the extra space). I will not order these again. The Fruit Delights that I ordered were excellent. Apr 23, 2014 | By Jelena I. Once I started with one, I couldn't stop myself. 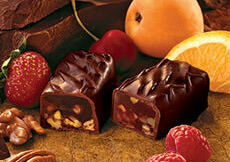 Such a great mix of fruits, nuts and chocolate. They taste really good. I would recommend to anyone, and I will definitely purchase them again. Note: great gift for any lady out there. 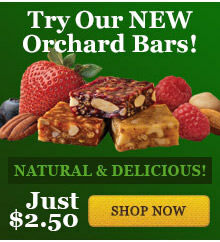 If you like fruit and chocolate you will love these. They are delicious! Yummy! 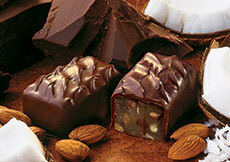 The best of everything in this candy, with chocolate, nuts, & fruit. You can't go wrong with this product!